If you are one of the billions of people who use social media regularly, then it is most likely that you are familiar with the image on the left. It was diffused very fast throughout the internet, simply because it describes something strange, yet very real. These, and many other companies simply endorse the exchange between customer groups, while they just play the role of coordinator-facilitator. Companies with similar business models, realize that people hold in their hands valuable tangible or intangible property and that they just need the appropriate incentive in order to share it and create value, both for the company and for other people. Eastern countries have surprised repeatedly the western business world with their creativity. OhmyNews is a company that comes from South Korea and it is an example of customer empowerment. OhmyNews is an online newspaper that was established by Oh Yeon Ho on February 22, 2000, while in 2004 an international website was created. Similarly to the companies of the image, OhmyNews has just 70 Journalists who produce less than 20% of the content, simply because this is a citizens’ job. As one of the most influential news websites in South Korea, the company operates on the principle “every citizen in the world is a reporter”. They allow the citizens to play the role of news hunters by promoting direct democracy at the same time. Specifically, company’s editors screen citizens’ articles before posting them on the website to ensure content integrity without exercising censorship. Consequently, OhmyNews is a representative example of a company that crowdsource almost 80% of its content. Large news providers hire thousands of journalists around the world in order to support timely and effective news capturing. On the other hand, costs rise along with employees, something that forces them to introduce multiple revenue sources. For OhmyNews this should not represent a dilemma since its model allows access to the most specialized and diversified news with minor costs. However, there is another part of the story that is far from a fairytale. The international site is inactive since 2010 because 70 employees were overloaded with information from around the world that they could not manage. The company was also struggling financially for a long period, with revenues that were falling dramatically month by month. The founder stated that the website was not a profit seeking move at the beginning, but like every organization, the company had to find a way to finance its expenses. It was clear to the executives that the existing model leads to failure with rapid pace. Thus, in 2009 OhmyNews started to make plans for a new and sustainable business model. The transformation was a great challenge. Back in the days most of their revenues (70%) were generated by advertisements. Now many local portals entered the game and absorb more than 90% of the advertisement revenues, something that does not leave room for fast growth towards this direction to OhmyNews. They introduced two new models that account about 50% of their revenues. The first is the “tip” model which allows readers to donate a tip for a story they like, while the biggest portion of the “tip” is given as reward to news contributors. The second is called “100,000 club” and consists of 100,000 members that pay €7 per month to attend live or recorded lectures organized by the company itself. Thanks to its passionate supporters the South Korean site is still running, but this time more sustainable. What prevented the company leaders from taking advantage of the huge success of their business? Obviously, innovation and customer involvement do not guarantee success. OhmyNews-international experienced firsthand what a tremendous customer involvement means when you are unprepared. Furthermore, when your service is free, it is necessary to find other sources of income that could be sustainable in the long run. The lesson: Innovation does not last forever, it needs to be continuous. 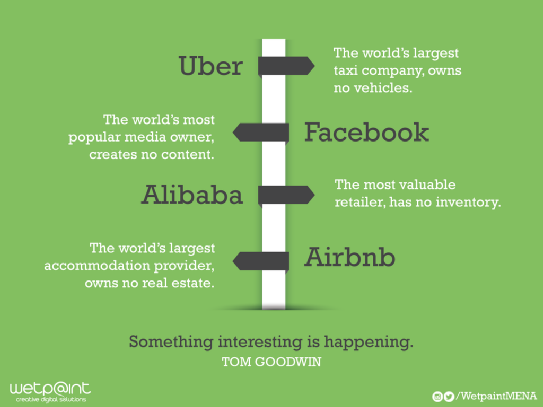 Even disrupters can be disrupted when they do not find new ways to adapt their business model into new situations.